Crisis is brewing in All Progressives Congress, APC, in Lagos state over the ambition of some of its chieftains. 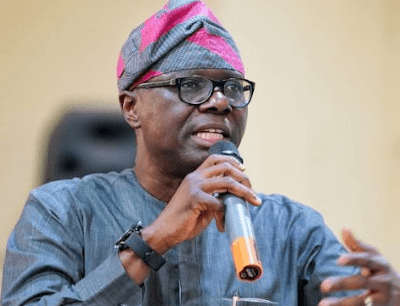 Speaking, a reliable source who preferred to remain anonymous disclosed that the governor-elect, Mr. Babajide Sanwoolu and his Deputy, Obafemi Hamzat are in a dilemma as even before they are sworn-in, some of the APC chieftains have taken a position already. Prominent among them according to the source is a former minister of defence, chief Demola Seriki, who left the Peoples Democratic Party, PDP, to join the APC told the national leader of the party, Mr. Bola Tinubu in clear term that he deserves the position of the chief of staff having waited all this while. Fondly called ‘ American Kukuye’ by his friends, Demola, we are told has regaled Tinubu with the story of how he (Tinubu) prevailed on him (Demola) to step down for his wife, Oluremi In 2015 when he wanted to contest for the Lagos central senatorial district. The party dilemma stems from the fact that Demola is very close to Tinubu and that makes it difficult to say no to him. According to the source, “ Asiwaju deliberately told the former governor of Osun State, Ogbeni Rauf Aregbesola to be in charge of the appointment in order to ease pressure from some of his close confidants who want to serve in Sanwoolu’s cabinet. “ Take, for instance, Kaoli Olusanya who wants to serve in the cabinet. Even Musiliu Obanikoro whose son Babajide just won the national assembly election to represent Ibeju Lekki too also want to be in the cabinet. “ Tayo Ayinde the director general of Sanwoolu campaign organization has been penciled down as the chief of staff before the Demola Seriki lobbying started.” Asked what will happen now that there is so much pressure for an appointment, the source said: “ Apart from the appointment of the SSG, Chief of staff and CPS to the governor that will be announced shortly after the swearing-in on May 29, another appointment may have to wait till July or August. The national leader will want to know what will happen at the national level before making another appointment in Lagos. For now it is not certain what will be the fate of Demola who said all that he wants in Sanwoolu’s cabinet is chief of staff.